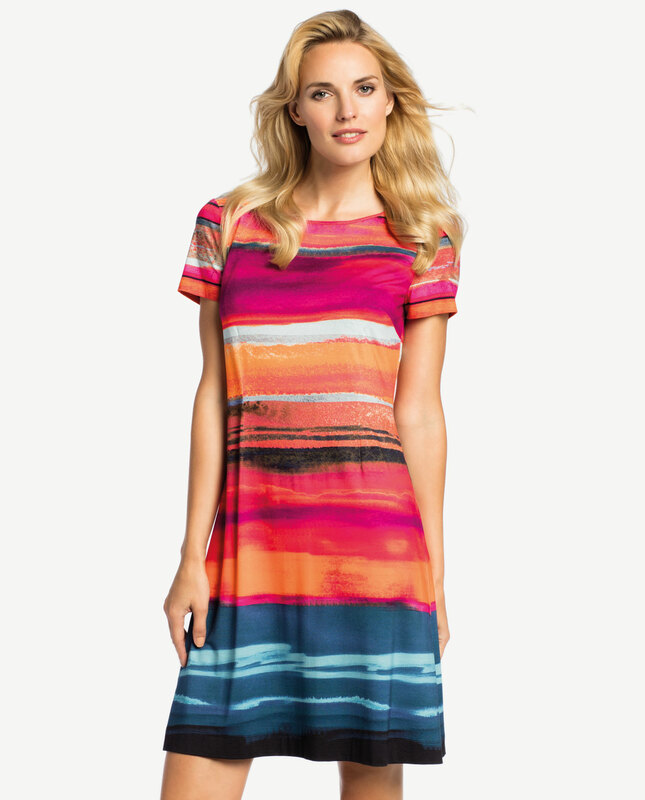 Patterned summer dress with a 3/4 sleeve. Relaxed style will prove successful with a number of looks, it will be appropriate for casual situations and for evenings-out just as well. This simplistic style is complemented with a welt at the waistline which flatters the body shape and adds a touch of an informal character. The garment has golden studs at the top, and the sleeves are finished with narrow cuffs. There are two side pockets. The dress is made from fabric which feels pleasant to the skin and is comfortable to wear. A very feminine and vintage style, essential in any woman’s wardrobe. It plays nicely either with sportswear or high heels.